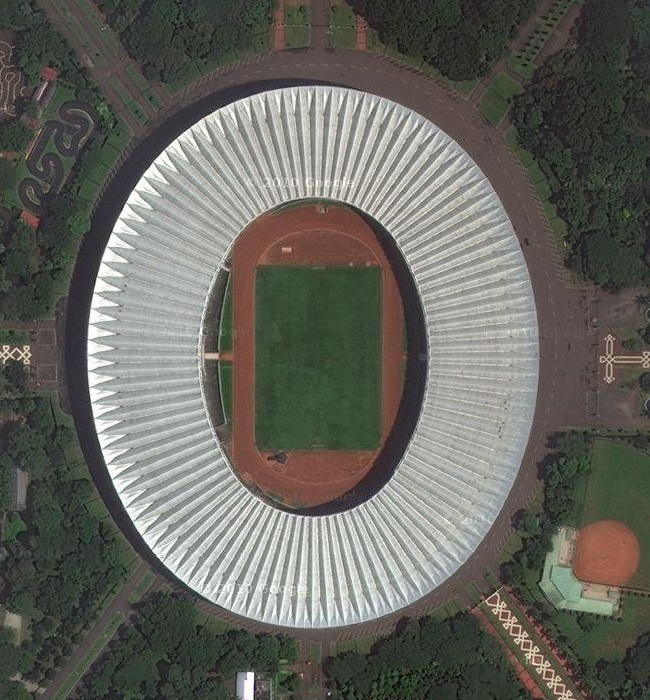 Today’s huge stadium is found in Indonesia, and is the Gelora Bung Karno Stadium. It was opened in 1962, and had an original capacity of 100,800, so I’m including on my list of giants. It was downsized in 2007 though, and now only holds 88,000. The stadium is used mainly for soccer, but does have a track inside as well. It’s part of and entire sports complex, and there is a second track located outside the stadium too.